Even before you enter your home, even before you find the entrance door and even before you walk on the pathway to the door, you come across the facade of your home. Or on the other side of the story, someone is walking across the street and is looking at rear facade of your home. 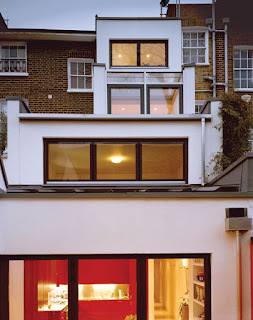 If your facades are not interesting, your home will look sullen and boring. We are sure that you don’t want that to happen, right? Facades are the face of the home and they cast the first impressions on the onlookers in just the first 5 seconds. If the front facade or the rear facade is not beautiful, all the interior design of the home is futile. When it comes to presenting one’s home to the crowd, facade are the ones which gain the responsibility to put the best foot forward. 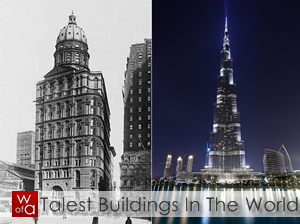 Let’s have a look at some of the amazing facades that have been set as an example to be followed by designers across the world. The home shown here has a 20th century facade. The architect Christopher Polly has not altered the turn of the 20th century facade at all. Rather, he has made it more wonderful by providing the warm lighting systems that add beauty to the interiors and look awesome from outside. The rear facade which you see here is of a home in Newtown in Australia and it has been transformed from bleak to bright. 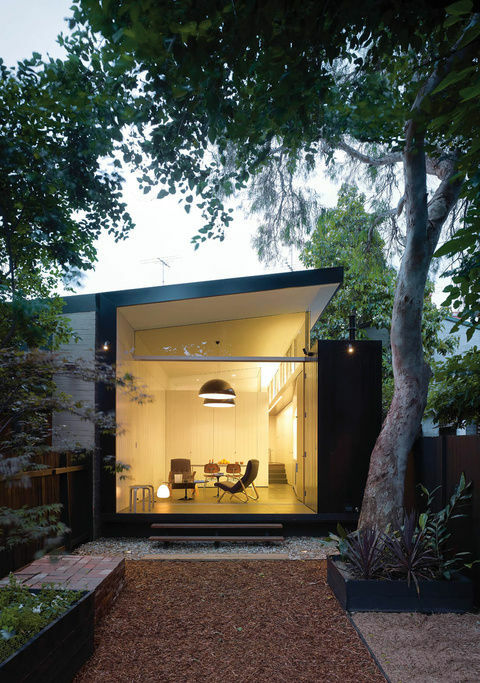 The presence of a tree and gravel pathway adds to the splendour of the home. 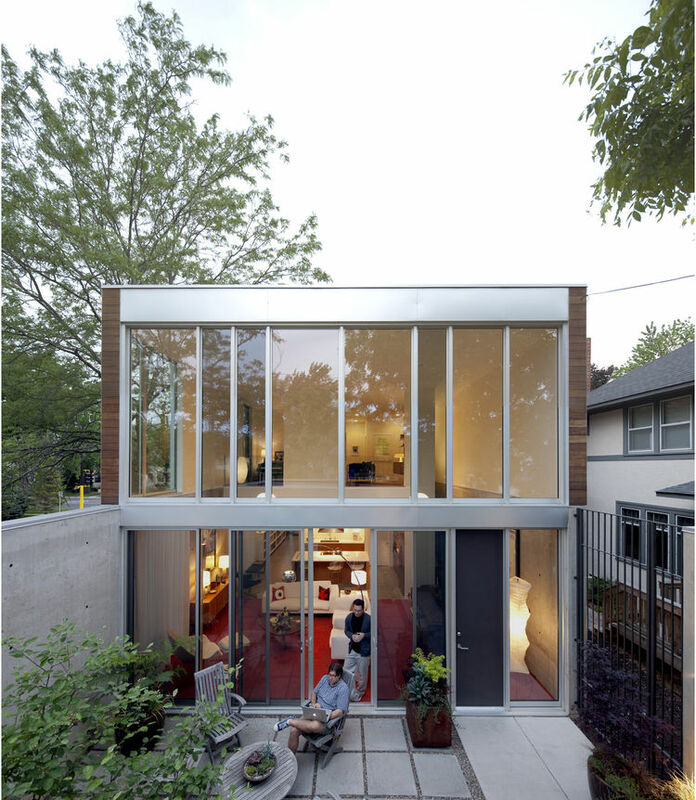 Moreover, the glass walls and the wooden interiors make the facade worth looking and appreciating. Ching Ian and Yang Yeo have renovated the Joo Chiat neighbourhood like nothing else in the world. 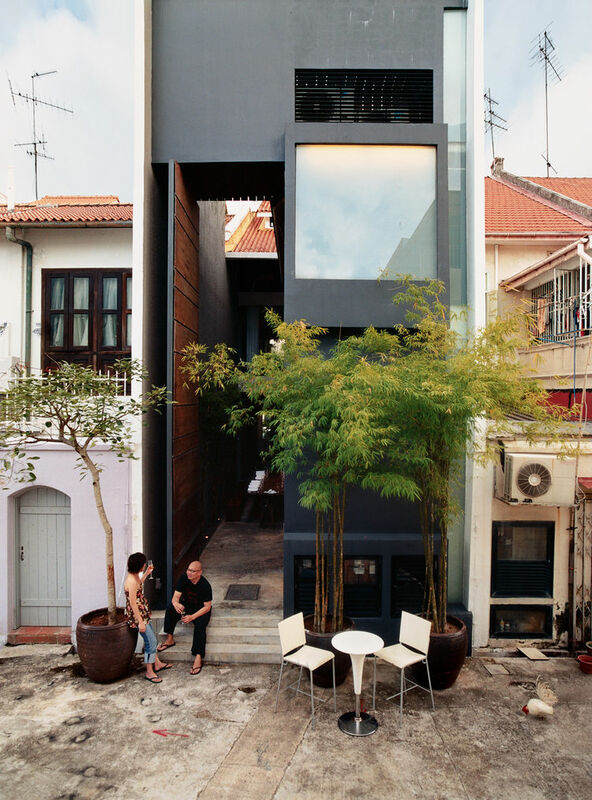 This is a 19th century facade of a shop house in Singapore. The front facade design is a perfect blend of tradition and futurism. The building is located in a busy port city and is an archetypal building type. The positioning of bamboo in pots near the entrance and the lounge created under the bamboo shoots adds a natural element to the entire design. At the backdrop, you can see how building used to look earlier. And yes, you can see Ching and Yang in the picture as they revel under the facade. This picture depicts the work done by architect, Luke Tozer. 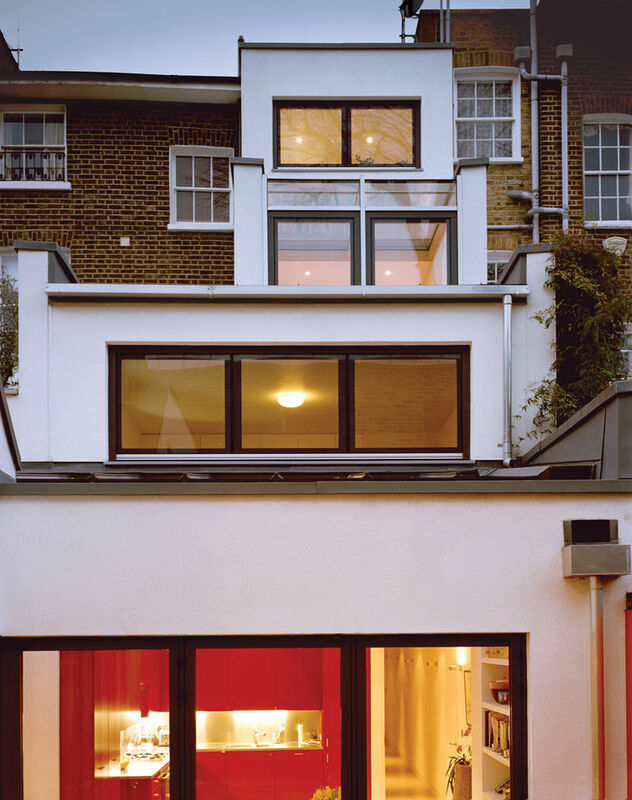 The picture shows the rear facade of an eight foot wide site in London. The home has four storeys in this eight foot wide site and is also equipped with water harvesting systems and geothermal systems. The building steps down in a ziggurat formation. 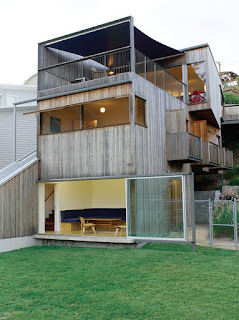 The rear facade very well brings out the architecture and also shows how the living spaces are in the lowest floor. The colour combination of white, wooden brown and coffee brown add to the grandeur of the building. Moreover, notice the way glass walls have been installed to enhance the perception of space in the building. The facade does not allow a person to think that the area is just eight feet wide. 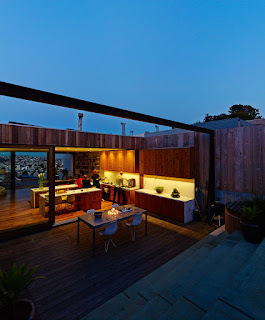 Such a design can work wonders for your home too if you have a small plot of land to construct house on and will give an appearance of space to the onlookers. Look at the majestic facade of a home located in San Francisco hill. An industrial designer and a mechanical engineer teamed up with architect Craig Steeley to render this magical facade for this home. Breeze and zephyrs make the opening top floor a replica of Eden. Notice how the warm lighting arrangements and the wooden interiors add warmth and opulence to the facade. The designers have also planned to install a sail over the back of the patio for shade. The stairs and the pots of plants kept over them take the dwellers back to the lap of nature. The desk and two seats show how a minimalist design can lay emphasis on the facade’s elegance. This kind of facade is a perfect fit for your home if you want to live on the topmost floor of the building. This is a stunning facade from Minneapolis neighbourhood of a century old housing stock. The facade has been designed by Julie Snow and it has carved out a loft on the ground for the dwellers. The picture shows us the rear facade of the house. The courtyard serves the purpose of an outdoor room as well. 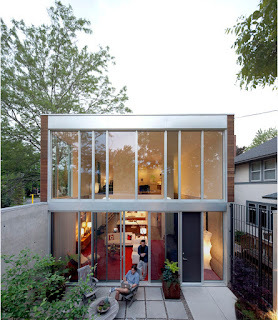 Notice the effect of glass on the walls, which add a sense of transparency and openness to the house. By looking at it, one can easily guess that the house is not sprawling, yet the design of the facade gives it an otherwise look. 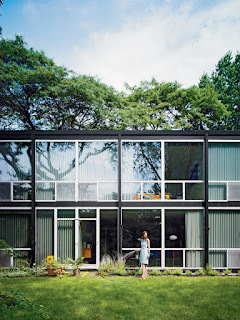 Modernist Hannah Ferguson has transformed the facade of the house and it looks traditional now. Set on coastal place, the house is made of inexpensive materials and is a catalogue of moving surfaces along with open rooms. The use of traditional and natural materials along with use of modern concepts of glass on the walls and plush interiors make this home worth looking at hundred times. The Detroit's Lafayette Park is an example of outstanding facade rear design. In this housing project, the dwellers are allowed to plant gardens on a small swath of land. The space is quite open and yet it looks protected by trees which stand tall as sentries of a fort. It is like a private space, where you can relax and bond with people and family members. The facade adds a touch of magnificence to the entire thing. This rear facade is made up mainly of concrete and glass windows. The pattern of the tiles on the ground along with the spacious room outside the dwelling place is a perfect place for bonding with people. The arcade of windows and the transparent wall made of glass make the facade look from future. This facade looks like it belongs to another planet. The earthy colours on the contemporary building along with the small garden adorning the front of the home make the house look classy. Moreover, the pale terracotta adds to the feeling of opulence in the home. This is one kind of facade that you can try for your home if you stay on the ground floor. This is perhaps the most audacious colour for a facade. But the way, this facade has blended the colour in the sunny location along with the backdrop of green plants makes it top our list of amazing facades that squarely look at the future. The facade is at once natural and at the same time modern. The facade will certainly transport the dwellers and the onlookers to the tropical beaches where they can relax amidst the tall trees and plants. Your facade is awaiting a renovation. What is stopping you from learning from the facades that we visited and trying something similar at your home?